Lots of experimenting with textures over the last few days in preparation for the new workshop next week - with some very pleasing results ! 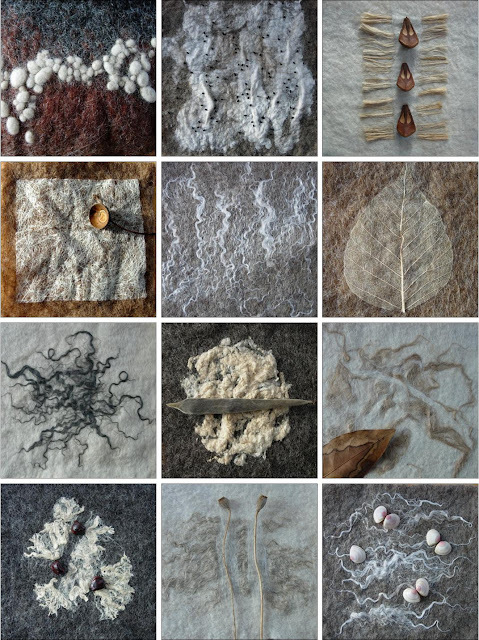 The natural colours of the fibres & textures blend SO beautifully with the wool backgrounds. I deliberately chose non-Merino wool with a good natural colour range - Norwegian grey, Shetland browns, BFL and Welsh white. 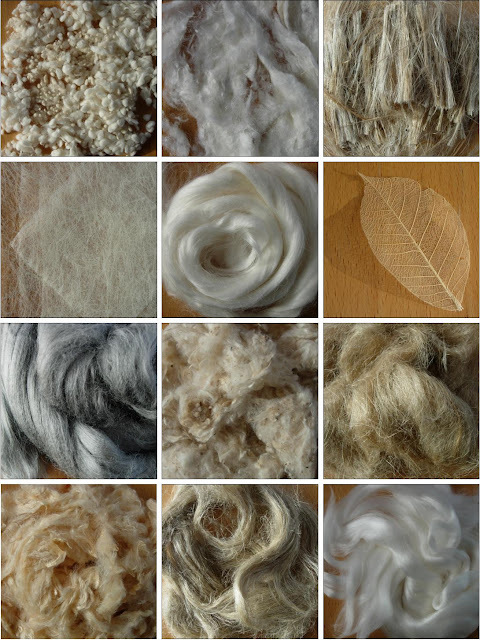 It was surprising just how quickly all the fibres felted into the wool. thickly and the wool worked through the base of these clumps leaving the top loose and easy to pinch into shapes and ridges - perfect for surface texture. I plan to work further into these swatches with hand stitching & beads, but for now I've simply photographed them with shells, pods and other natural forms. 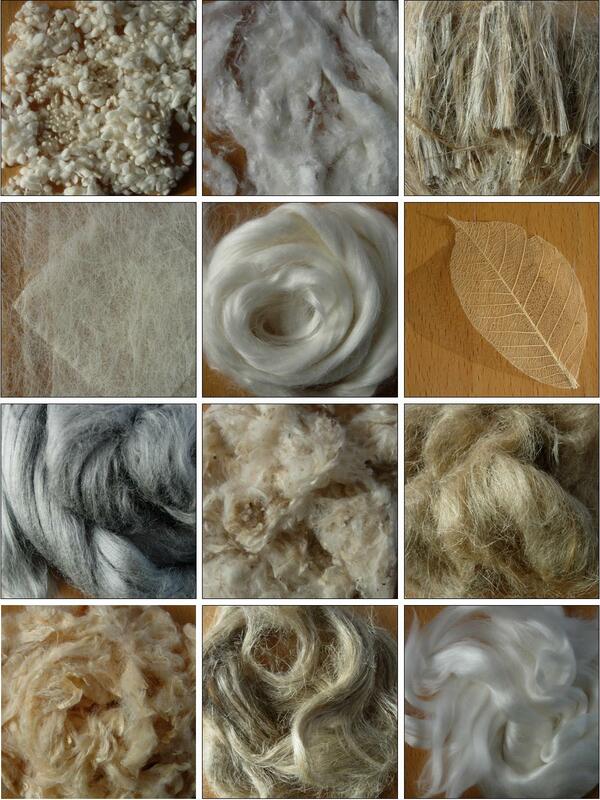 would like to try using this amazing range of alternative fibres. ALL these textures will be available to use and included in the price of the day, along with other organic & synthetic yarns and fibres. You can make sample swatches like the ones shown here, create a 3-D project or cover pebbles with felted textures. and places are still available. For more details and information about booking call 554 934.